MCGI Representative, Bro. 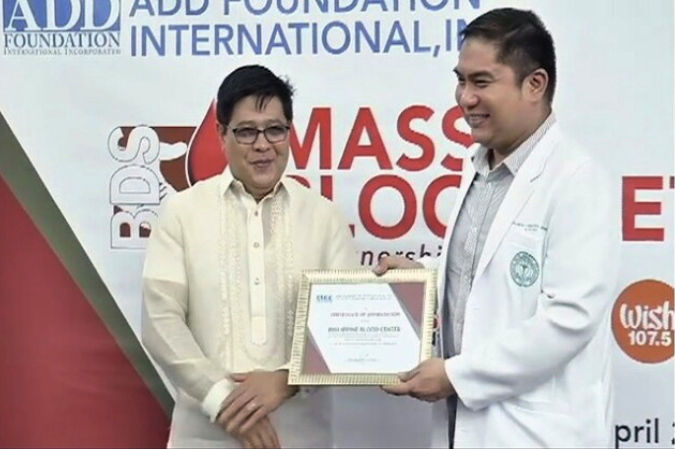 Danny Navales awards certificate of appreciation to Philippine Blood Center Technical Division Head Dr. Francis Dematera for allowing the organization and ADD Foundation International to use PBC’s facilities for blood donation drive. 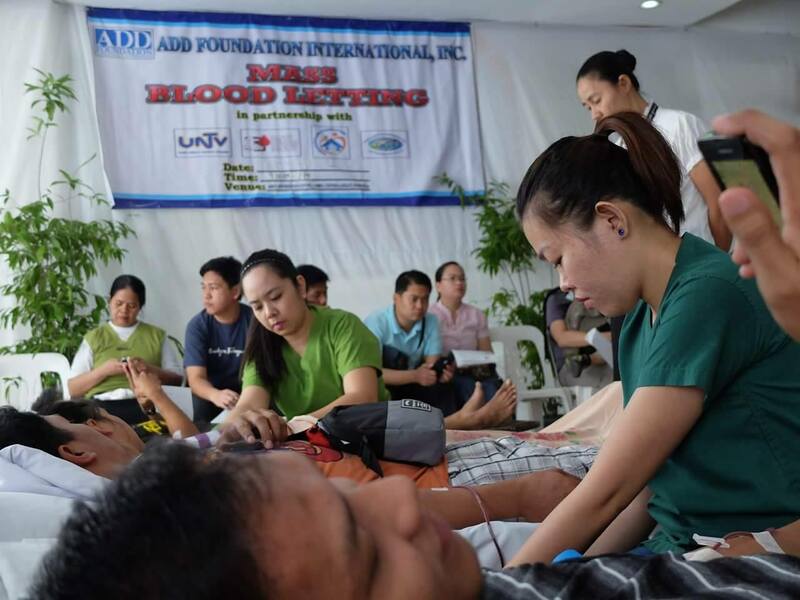 Over 700 people lined up to donate blood at the grounds of Philippine Blood Center (PBC) during the Mass Blood Donation drive hosted by the Members Church of God International (MCGI) through the ADD Foundation International. 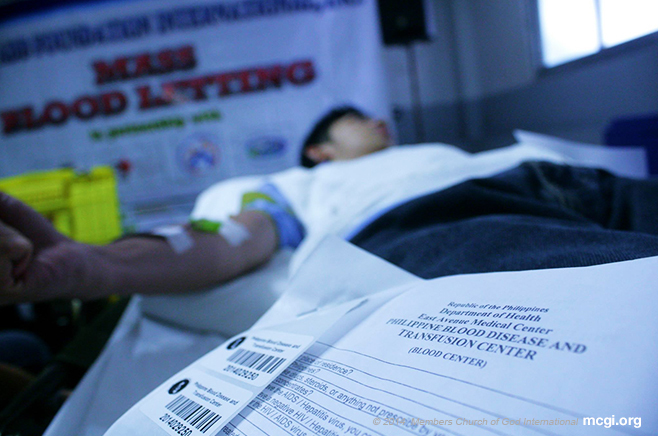 The April 28 MCGI blood drive contributed a total of 452 blood units to PBC, which it hopes could reach the farthest parts of the Philippines and help save lives in far-flung provinces. Together with MCGI volunteers, the Philippine Blood Center (PBC) in-house staff administered the blood donation drive using their world-class facilities for better blood extraction facilitation. While giving blood should be all about helping those in need, it is also proven to be beneficial to the wellness of the blood donor. In a study published by the American Journal of Epidemiology, researchers found out that 88% of those who donated blood at least once a year, have lower risk of heart attack and less likely to get strokes and cancers. Bro. Eli Soriano and Kuya Daniel Razon, Overall Servant and Assistant to the Overall Servant, respectively, founded in MCGI the Blood Donors Society (BDS) more than a decade ago to host blood drives on an ongoing basis, in order to extend help to those who are in need of blood. MCGI, together with other partners in the media through UNTV News and Rescue, host mass blood donation drives on a range of weekly to quarterly basis in different key locations all over the Philippines and abroad. 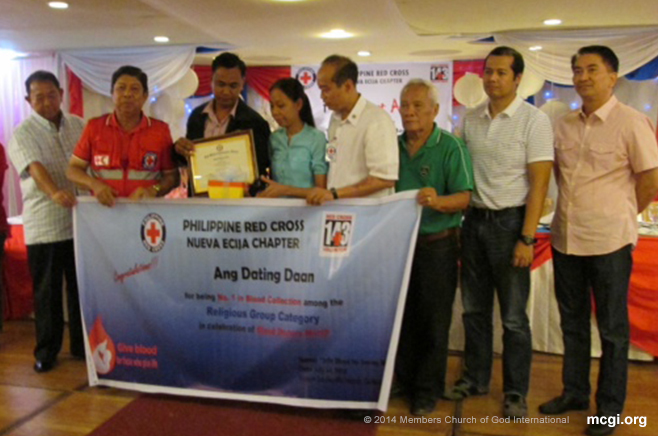 The organization has been a recipient of the prestigious Jose Rizal Award, the highest citation in the PBS’s Dugong Bayani Awards.